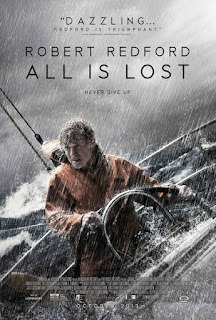 All is Lost (2013)- A Solo Act.. Zero Dialogues.. yet Gripping Film..
First of all, this is the only film in history, that contains nothing but a single actor with virtually dialogue-free execution. Yet this film absorbs our full attention by gripping acting, direction and cinematography. It had received a standing ovation in Cannes Film festival-2013. All is lost (2013) is a survival story of single person sailing somewhere in the Indian Ocean. The film starts with 2-3 lined monologue which shows sinking boat & narration which seems to be said by a man who has accepted a moment of death. Then we are taken to the actual situation, where an old man awakens in his yacht, which is flooding due to a hole in the wall caused by floating conatiner. In rest of the film, we witness the resourceful yet challenging struggle of life to overcome death. 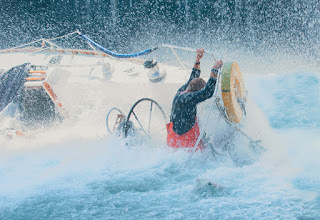 This old man fighting to survive sea-storm, with his boat sinking at each moment. We await the moment when life will accept the truth of the deadly moment. J. C. Chandor has written & directed this film. But the film doesn't ask more of creative writing here, but out of the box approach in direction. Otherwise, this could have been just a copy of "Life of Pie" without the tiger. J.C. Chandor has done a fantastic job here by showing us an unexpected way of storytelling. In typical survival films, they show us flashbacks, past regrets and background of the character. But 'All is Lost' will give you something you don't expect. Cinematography adds value by keeping a camera at arm's length from Robert Redford. We have also shown breathtaking underwater shots. I hail Robert Redford for acceptance of such a demanding role at age of 77. Someone says "Age is just a Number" and Robert proves it in this film. He is flawless in depicting a survival instinct of a man. 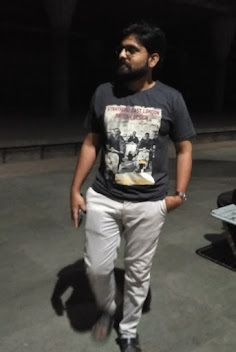 If I were a casting director, then my preferred choice would have been Clint Eastwood, Robert De Niro or Morgan Freeman. The beauty of this film is that director never reveals identity, background and thoughts of this man to us. You would never know his name, profession, intent of sailing in deep ocean. It leaves us with message that, at the moment of 'life & death', nothing matters but 'truth of moment'. Survival is life's first principal and rest moments are just acts of survival. Everyone knows, surviving one catastrophe is not a finish. Fight against death never ends, we just buy few moments more with each action. I won't spoil your moment by telling whether he survive or die after all his endeavours. But, believe me, a climax of this film is so creative that your emotions fluctuate between as low as the bottom of the ocean and as high as the sky. On IMDB, this film only could fetch average rating of 6.9/10 from people, I would give it 9/10.